Look forward to seeing them!!! That looks cool, where from if you don’t mind? https://www.simplycarbonfiber.com/co...ber-phone-case. It's not cheap when compared to other iPhone cases but for what it is, The price is spot on. It is the real deal!! I use a normal silicone cover which does not add bulk and gives me enough protection. Tartarus and jr866gooner like this. How are they to hold? I imagine the edges cutting into your hands! Not bad actually. It’s made of rubber so it’s not sharp at all. I have to say the new Spigen Ultra Hybrid is a great case, it has a LOT more protection on the side lips of the screen and the camera bump is huge in comparison. Better grip on the sides also despite being curved to the contour of the phone. For $26 Cdn it wasn’t money wasted. Unicorn Beetle Pro by Supcase. 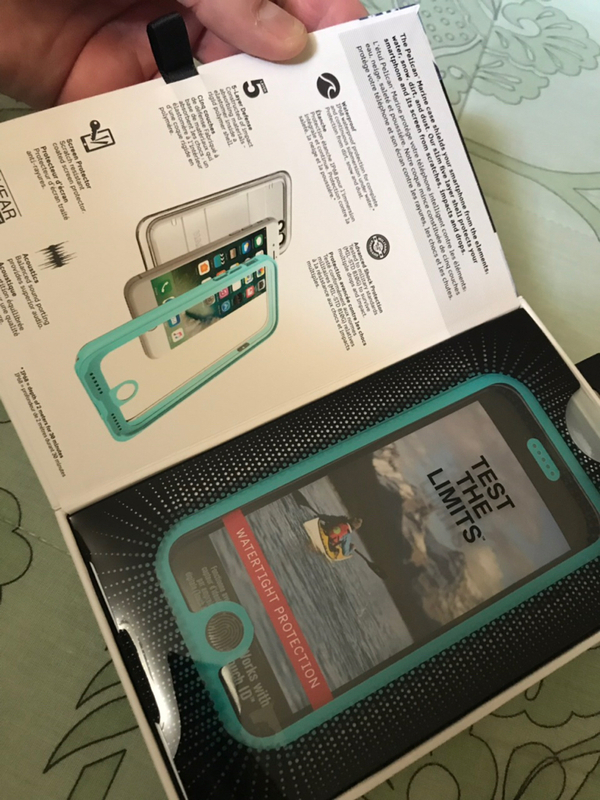 It's a great case and cheaper than Otterbox. I have one on my Air 2 and Galaxy S8. Yep I understand. In this past week I helped my friend who has never had an Apple product, set up his new iPhone 8 that he got in black. Beautiful phone in fact I gave him the Spigen Ultra Hybid case you see above, and I went back to my OtterBox commuter on my seven, but there didn’t seem to be much if any speed difference between the 7and the 8 that I noticed. My two year contract is finally up with Rogers so immediately I shifted to a cheaper plan so now I’m paying $65 a month and I’m glad to save that money. 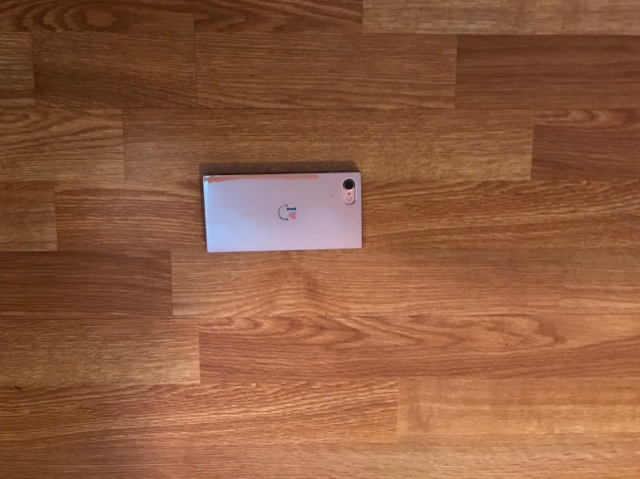 I don’t think I ever want to sign a contract again because you can go on a cheaper plan if you out right buy or already own the phone. The only problem is something like the new iPhone XR is $1049 Canadian, so I guess I better start saving ;-). I will try to go at least until fall with this iPhone 7 and my battery health is still pretty good at 88% so maybe I can squeeze even another year out of it. With the Otterbox commuter I know I’m well protected Even if I drop it on a sidewalk. 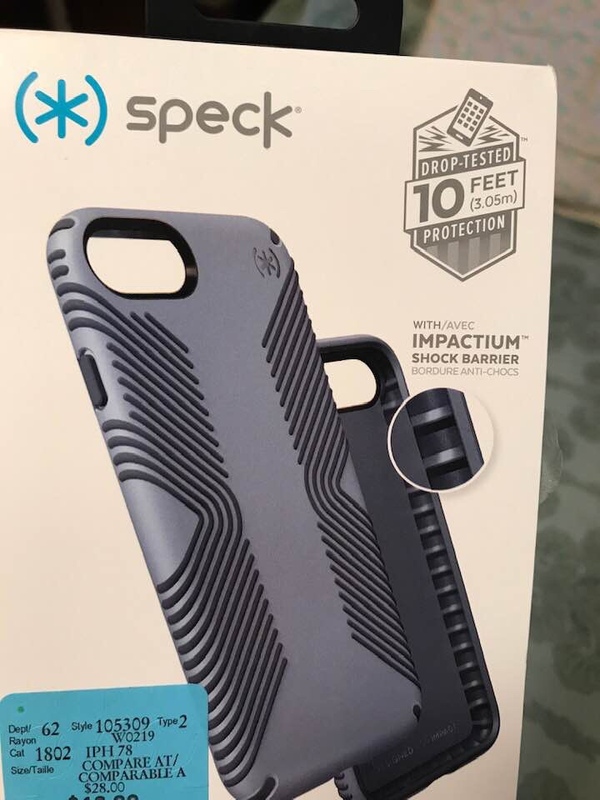 I have a similar Spigen case in my 8 Plus and love it! OK so I was at Winners store in my hometown in Saskatchewan here and they have quite a good couple of deals on iPhone 7 cases. I’d like to know everyone’s impressions of these cases or if you’ve ever had one. I ended up getting the Speck Presidio Grip model in Granite Grey for only $17 and at retail stores they go for around $50 here. I noticed on Amazon they might run around $30-$35. One thing people were complaining about in the reviews for the Presidio Grip case is that the rubber grip lines can start peeling after only a couple weeks or so but I am Not the kind of person who crams a cell phone into my back pocket. I’m pretty easy on my cases. 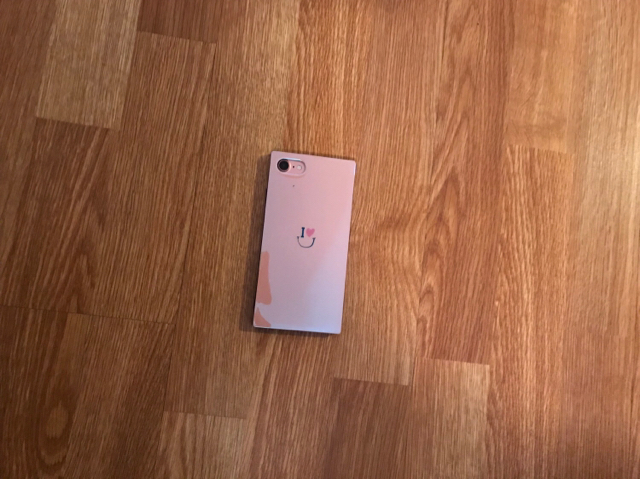 Another complaint there seems to be about this case after reading every single review I could find is that if you drop the phone with this case the case usually breaks, because it’s sort of a hard type of polycarbonate plastic. And one other issue is that I find the lip very small over the glass screen and on some YouTube videos they drop them from the rated 10 feet it’s supposed to be good for or less and if it lands on the screen it’s bye-bye iPhone screen and hello spider webbing. Of course those were broken without using any sort of screen protector on it and I always use a screen protector. I guess I’m feeling like the phone is a little naked since I am used to using an OtterBox commuter for the last year and a half so I’m just wondering what everyone’s experience with the speck Presidio Grip has been? 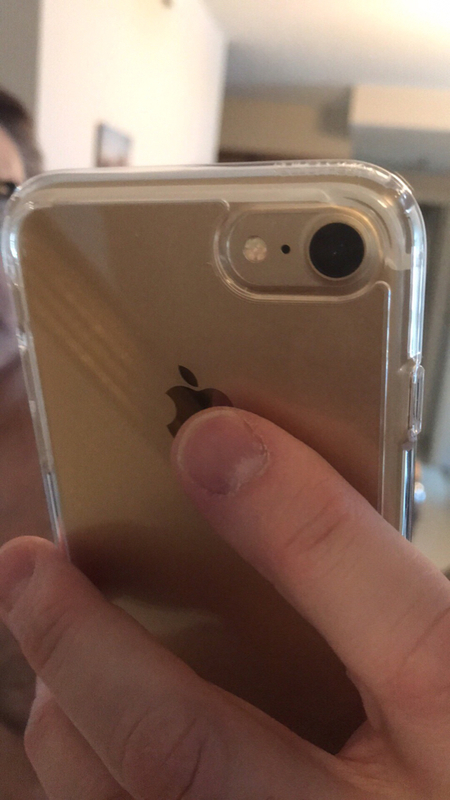 The other case that you see here it was only $12.99 and it is the new pelican Marine waterproof clear case for the iPhone 7 or eight and apparently it’s five pieces or five layers of protection and according to some of the reviews the case can break up in many pieces if you drop your phone with it. But you know for $12.99 I almost took the plunge just to play with the case but I didn’t bother. Notice on Amazon these cases can be up to $70 or so, Canadian prices of course. Which would you say is the better model here? Nice click buttons on the Speck for the volume buttons but for some reason I don’t find the clickiness to be the same or as stiff onnthe power sleep button. I prefer the stiff buttons on my Commuter case because then I do not accidentally turn the screen off the way I hold the device sometimes. I'd go with the Pelican. Has a screen protector. Good point. Whichever affords the best protection. You know I have a buddy who has been using the same black life proof case on his iPhone 6 since the phone was brand new, there are gaping holes worn on the side of it, it looks beaten to a pulp and the built-in screen protector literally feels like sandpaper, screen looks all hazy. I’m sure they’re great when they’re new LOL but I think I would rather just use the tempered glass screen protectors. One thing about his life proof case though it’s not as thick as any OtterBox Defender with the built-in screen protector.